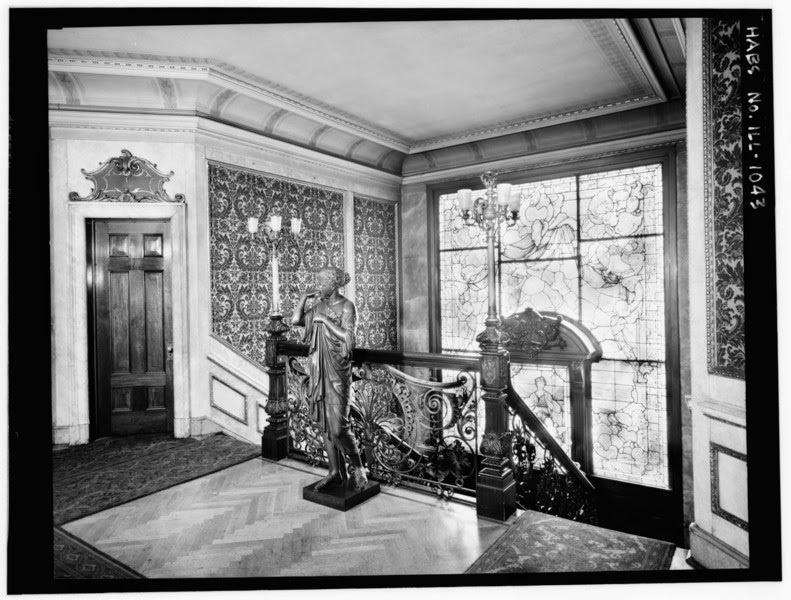 The Dewes Mansion was built in 1896 for Francis J. Dewes, a Prussian-born emigrant who became a a prominent Chicago brewer. 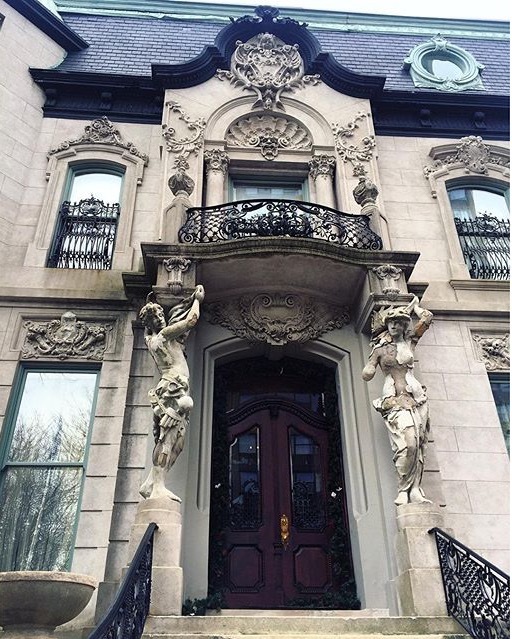 The mansion was built in neo-baroque & 19th century Parisian Beaux-Arts architecture, and the exterior is simply the beginning. 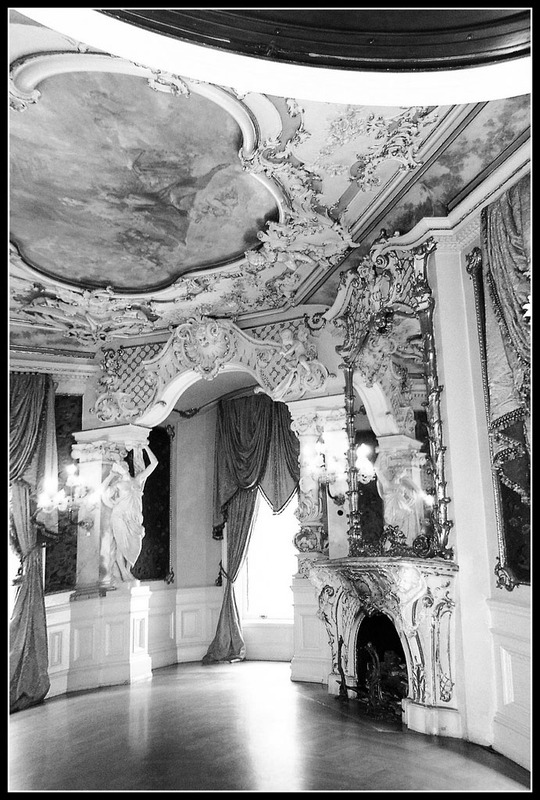 Elaborate Italian mosaic floors, a fireplace brought from a European castle, glass panels from Venice, and Gothic and French Renaissance details decorate the stunning interior. It would take a novel to describe fully describe it's beauty, but luckily this historic landmark is so well known there are plenty of photos available to do it for me... take a peek for yourself.